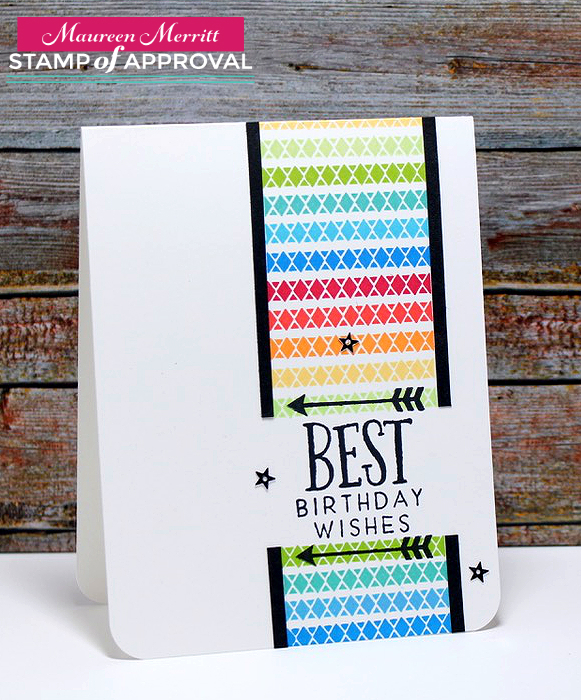 Today's card uses the Simply the Best stamp set. This card is a bit different than the ones I shared yesterday. This collection is definitely geared more toward feminine cards, at least that’s what I gravitate towards with these products. What I wanted to show you here is how this collection can be used for teens and the guys in your life. This card is so simple to make. Use different colors schemes or switch the orientation of the design, to give it a whole new look. I love using smaller pieces from a stamp set like this. 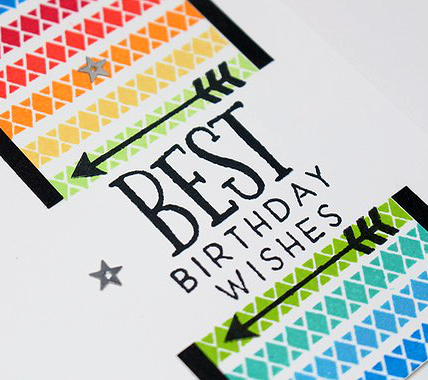 This card really shows off the Catherine Pooler line of ink, right?! I hope you are enjoying the projects our team made using the Naturally Inspired collection. I'll be back with more cards soon! Premium White Card Stock 8.5 x11"
Love this card too!! Great for those guys who are so hard to make cards for. LOVE this, Mo!!! Perfect for masculine cards. Love the colors! Bright , cheery and definitely can be used for the men in our lives. This design is perfect for masculine cards. Thanks for sharing! That is one fabulous masculine card made with that one small stamp!! Fantastic or should I say Stitch-tastic! I LOVE this card!!! Great guy card! Love all the colors! Great way to use that little stamp.